The wait for W.R. Grace Company to leave bankruptcy protection and re-open itself to asbestos-related lawsuits may have been delayed a little longer after its bid to acquire new assets was rejected in an auction last month. But it also means a large pot of cash remains in the bank. The Grace Company, which operated the chrysotile asbestos mines in Libby, Montana for decades, filed for Chapter 11 reorganization in 2001 to protect itself from more than 100,000 personal injury claims. 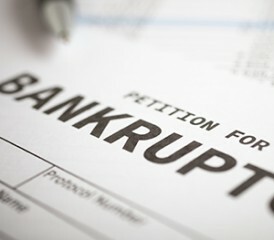 Its reorganization plan finally was approved in January by U.S. Bankruptcy Judge Judith Fitzgerald, but it still is awaiting final approval from higher-level courts, according to Bloomberg News. While under bankruptcy protection for more than a decade, it has bought and sold assets, needing court permission each time. Grace Company, based in Columbia, Maryland, is a self-described “premier specialty chemicals and materials company.” It operates in 40 countries with an estimated 6,000 employees and $2.5 billion in annual sales. The most-recent approval to bid in a secret auction, for undisclosed assets from another company, was considered a potential final move before leaving bankruptcy protection. The documents used to gain bidding approval by Fitzgerald were sealed under court order. The company did say, in seeking the judge’s approval to make the bid, that the purchase would “significantly enhance Grace’s business plan and growth strategy in coming years,” according to Bloomberg. Should it win final approval to leave protection, Grace Company said it plans to pay creditors in full and set up a trust fund to pay victims of asbestos-related diseases. Grace no longer makes asbestos products. The asbestos mines in Libby have been closed since 1990 and land reclamation began shortly afterward. Cases of asbestos-related illnesses, though, have continued to haunt the town. It can take anywhere from 10-50 years after the exposure to asbestos fibers for mesothelioma cancer to show obvious symptoms. In 2005, the United States Department of Justice indicted the company and seven top executives for knowingly endangering resident of Libby and concealing information about the health effects of its mines. According to the indictment, at least 1,200 residents developed cancer or some other lung disease from exposure to asbestos from the Grace mines. In 2009, though, a federal jury in Montana surprisingly acquitted Grace and its executives from “knowingly,” harming the people of Libby.